She's a natural. Tall Grass Bakery, at Wallingford. Happily tattooed daughter with her mom at Ballard. Seattle City Council member Mike O'Brien takes a campaign break with a tattoo, at Ballard. Double tattoo trouble from Hayton Farms, at Wallingford. Very pleased with his new ink, at Ballard. Family that inks together stays together. Around the Table Farm sibs, at Wallingford. Gaia's Harmony's smile is even sweeter than those berries, at Wallingford. 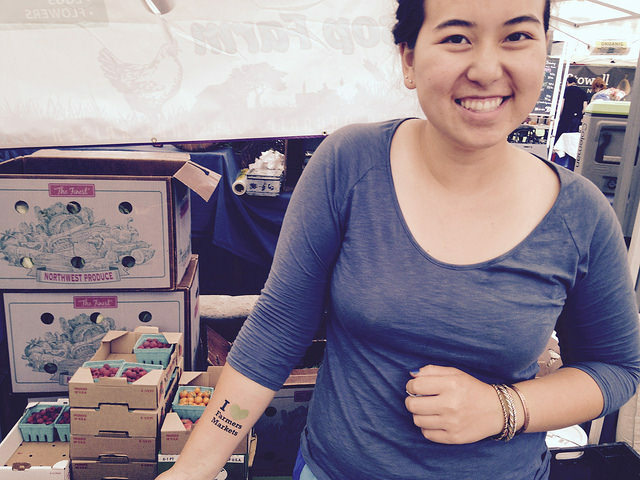 Our resident tattoo artists had too much fun inking up shoppers to celebrate National Farmers Market Week. 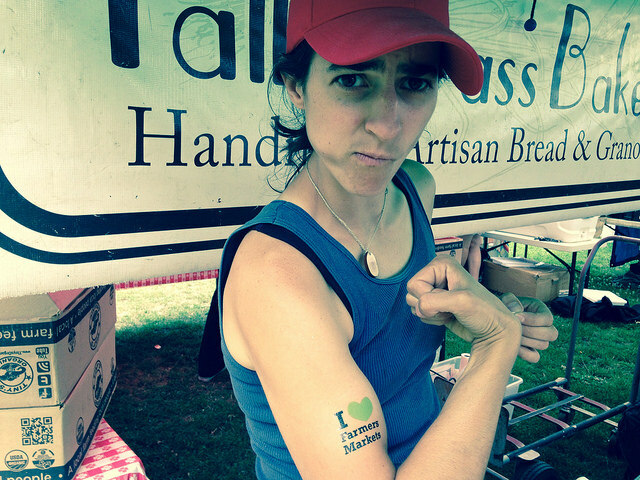 Our vendors got in on the action, too -- taking hamming-it-up-for-the-camera to a whole new level. We heart them to the moon.